People USA - 04.22.2019 » Download PDF magazines - Magazines Commumity! The People magazine runs a roughly 50/50 mix of celebrity and human-interest articles. 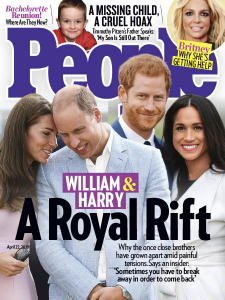 People's editors claim to refrain from printing pure celebrity gossip, enough to lead celebrity publicists to propose exclusives to the magazine, and evidence of what one staffer calls a "publicist-friendly strategy".